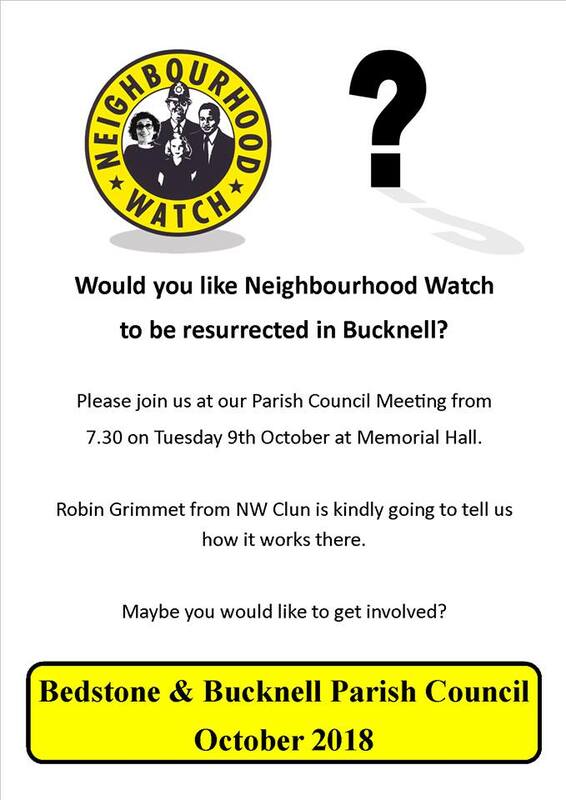 Parish CouncilWould you like Neighbourhood Watch to be resurrected in Bucknell? Would you like Neighbourhood Watch to be resurrected in Bucknell? Would you like Neighbourhood Watch to be resurrected in Bucknell? Please come to our Parish Council Meeting from 7:30 on Tuesday next, 9th October, Memorial Hall, and tell us what you think. 2 Responses to " Would you like Neighbourhood Watch to be resurrected in Bucknell? "